Dr Pat Hayes, Professor of Barley Breeding at Oregon State University, is my guest this week to discuss advances in barley breeding, genetics and what beer brewers can look forward to from future barley varieties. Dr Pat Hayes, Professor of Barley Breeding at Oregon State University, is my guest this week. Dr Hayes has dedicated most of his career to the study of Barley. I ask him why Barley is an interesting plant to study? He also focuses on genetic research. We discuss what role genetics plays in developing desirable barley characteristics. Pat discusses the public backlash against Genetically Modified Organisms (GMO’s) and how in fact genetics is primarily used to understand Barley characteristics. His program instead uses traditional cross breeding to develop new varieties. Pat explains the difference between two row and six row barley and why he recently shifted his study to two row varieties. We talk about how he is working to breed cold tolerance and disease resistance into new barley varieties. He also explains why per-acre yield and drought resistance is very important for barley. We discuss some of the methods he uses to analyze and breed new barley strains. He explains the impact his work has on harvesting, drying and malting barley and how integral the maltster is to barley development. We discuss flavor profiles for barley and their importance. 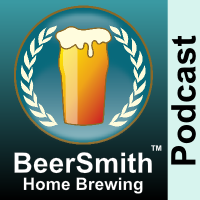 Pat shares his thoughts on the implications of new barley varieties for brewers and home brewers. We talk about how long it takes for a new barley variety to be commercialized. Pat shares his closing thoughts. Thanks to Dr Pat Hayes for appearing on the show and also to you for listening! Great show, I hope you don’t get a nasty backlash from the anti-GMO crowd. Genetic engineering is one of the reasons we all have food on our tables, and there’s no evidence that GMO crops are detrimental human health. Cheers! Great talk. I learned a lot.